Sonar technology allowed scientists to produce high-resolution maps of the sea floor for the first time. 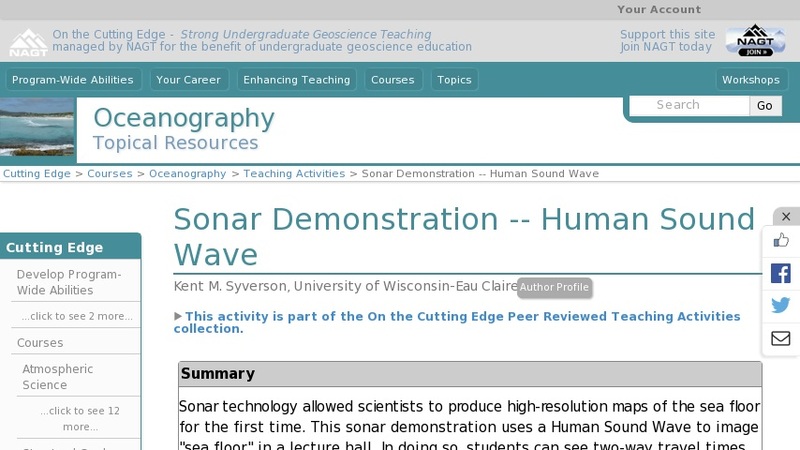 This sonar demonstration uses a Human Sound Wave to image the "sea floor" in a lecture hall. In doing so, students can see two-way travel times collected and plotted in real time. Students also evaluate sources of error that can be applied to a real sonar device.